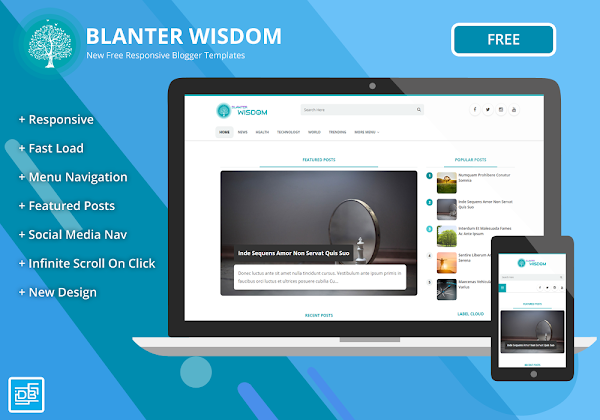 Wisdom Blanter, High Quality Blogger Template is a perfect tool for publishers, magazines, newspapers, bloggers and other news websites with excess on the page loading speed. 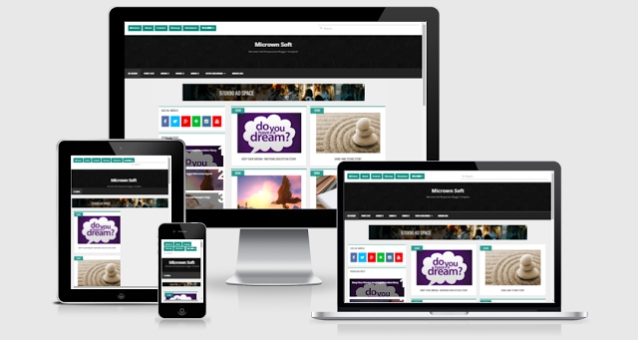 This template also optimally designed in terms of SEO, display and others. 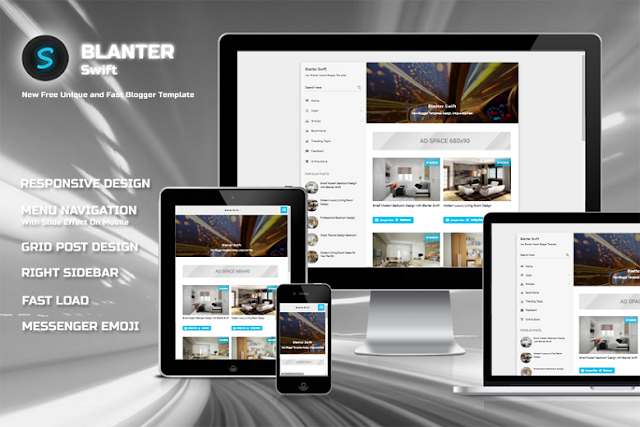 Swift Fast Load Blogger Template has a unique and minimalist look, the navigation menu is on the left side as well as the sidebar that is incorporated with the navigation menu and search box. Originally I wanted to use the slider at the top of the post but for the reason of loading speed, I replaced it with a customizable background header. 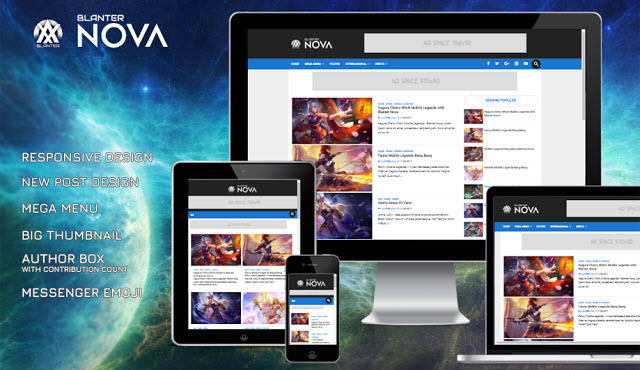 Blanter Nova Responsive Blogger Templates is perfect For Personal Sites, Modern and fully responsive (try resizing your browser), And AMP Ready, 2 Columns on Homepage, 1 Column on Page and Static Page, Customize AMP Sidebar, Share Button and more. Micrown Soft Grid Responsive Blogger Template, This is the template that is used exclusively for personal blog with a design that is very nice to have a structure on a page posting Homepage / Index-shaped grid, and if in the hover will issue Post Info namely: Author, Time Post and Total Comments.